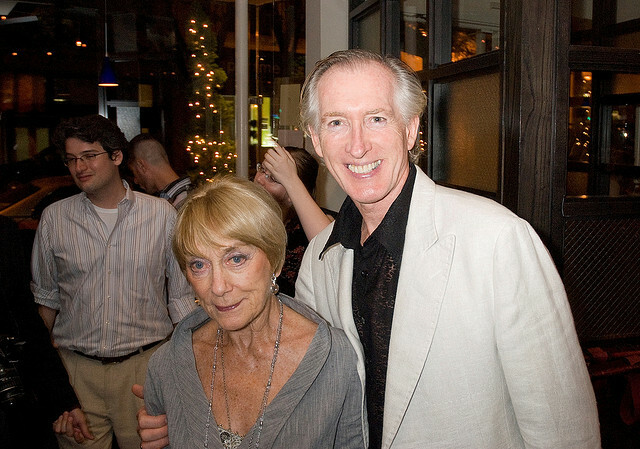 Beginning as a soloist under Dame Ninette de Valois in the original Sadler’s Wells Ballet, going on to become a star dancer at the London Palladium, acting opposite Errol Flynn in films and dancing on television, it seems Gillian Lynne has done the lot! Gillian’s career took off when she danced the role of the Swan Queen in Swan Lake aged 16 and was spotted by de Valois. She entered Sadler’s Wells Ballet aged 17 and rose through the ranks to become a leading dancer, with her roles including the Lilac Fairy in Sleeping Beauty, one of three ballerinas in Symphonic Variations, Queen of the Willis in Giselle, Black Ballerina in Balanchine’s Ballet Imperial, and Black Queen in de Valois’ Checkmate. Gillian went on to set herself on the dance map as a performer, choreographer, director and innovator. Gillian was instrumental in the development of jazz dance in Britain and her distinctive style, which is a fusion of classical and jazz, lead to her fantastic work on the world famous musical Cats – for which she is probably most well-known – and also on Andrew Lloyd Webber’s worldwide hits Phantom of the Opera and Aspects of Love, which she staged and choreographed. Aside from these huge hits which took the West End by storm in their heyday and continue to do so today, Gillian has also worked on shows such as Cabaret, Pickwick, Hans Christian Andersen, My Fair Lady, Songbook and Chitty Chitty Bang Bang, and for the Royal Shakespeare Company, A Midsummer Night’s Dream, Comedy of Errors, As You Like It, The Boyfriend and The Secret Garden. In addition to the West End stage, her ballets included The Bröntes, On Such A Night (Northern Ballet) and Journey (Bolshoi Ballet), and feature films include A Wonderful Life, Half a Sixpence and Gillian also staged many of the famous Muppet Shows. Gillian still has the same vigour and passion for life in her late eighties, most recently being awarded a Lifetime Achievement Award at the Olivier Awards and giving the keynote speech at the Royal Academy of Dance’s Dance for Lifelong Wellbeing conference, the syllabus under which she originally trained. Gillian was honoured by the Royal Academy of Dance with the Queen Elizabeth II Coronation Award in 2001, and was awarded the CBE in 1997. Image courtesy of shakespearetheatreco (Shakespeare Theatre Company) on Flickr. Previous Previous post: Choros – A Pas De Trente Deux! Next Next post: Dance Direct Offers!